This Video Editor facilitates you to make videos impressive and stunning. It is the best video editor to enhance videos with various video effects, like transitions and filter. 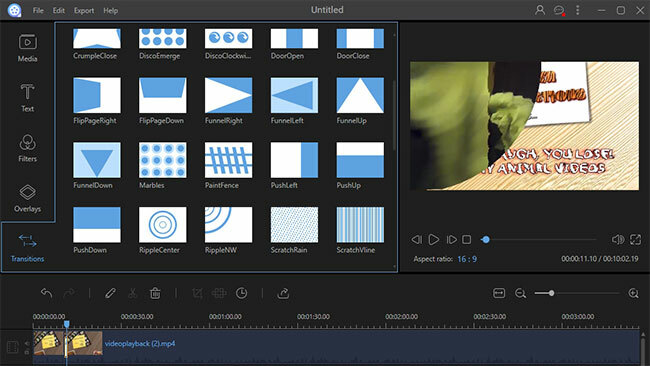 As it supports video, audio and image files in almost any formats, so there is no limitation to edit any videos flexibly, including HD, SD and videos that derived from multimedia devices. The professional video editing software is fully-featured to take care of anything that not only edit videos, but also help you save and process them for sharing in more preferred ways. Video Converter – Convert videos as any video and audio formats like mp4,mp3. Video Splitter – Split video to multiple clips and whatever length. Video Merger – Merge several videos into a single one. YouTube Video Editor – Edit videos for directly sharing on YouTube. Video Cropper – Crop videos to reserve wanted part. HD Video Editor – Support edit high definition videos smoothly. 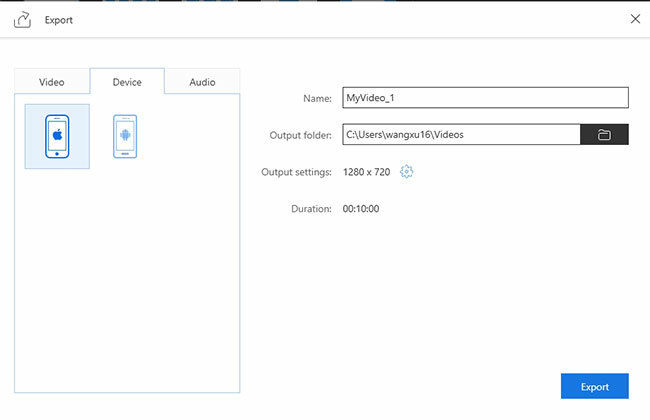 DVD Creator – Collaborate with DVD Burner to create playable DVD discs. The powerful Video Editor supports import video, image and audio files in virtually all formats. By dropping target videos onto timeline, you can easily arrange any elements like pictures, video clips, transitions in intuitional way, and edit them with several clicks. It’s convenient to extend or shorten duration of any text, audio or effect you added, and remove, add or modify them at precise time point. This best video editor offers you about 50 video effect templates to perfect your video. So you can add transitions between clips, such as, wave, fade and roll, and PIP animation effects over video, or specify text effects to make attractive conveying, like zoom in, rotate, stretch. Moreover, it’s also supported to make still pictures dynamic by applying motion effect. And by overlapping image and video, picture-in-picture effect will be realized. To the video itself, many options are ready to adjust brightness, contrast, saturation, hue, in order to reach your expected video quality. Supports speed up and slow down video motion to tweak the playback speed, crop video to remove unwanted part. You can insert multiple local videos to combine them or split video at certain point. Besides, if needed, just add credits as title or ending with stunning effect. The professional video editing software enables you to capture webcam videos and record voiceover via microphone. Adding text over videos and images, you are able to customize font type, size, color, and expressing effects. Drag and drop to import favorite soundtrack and music. You can also choose to mute original video’s audio track, so as to play voice-over or music you imported. You can specify the playback speed of audio, and fade out duration as next audio track fades in. The great video editor will help your edit videos for YouTube and instantly upload to it. By entering related YouTube account and your video info, sharing videos on YouTube is so easy. In addition, you are entitled to export videos compatible with portable devices, like iPhone 4S, iPod touch, iPad 2, Wii, Archos player, HTC, PS3. Supports convert videos to specified formats, such as, wmv, avi, flv, mov, dv, mp3. The precise parameters, including frame rate, resolution and channel can be set as you need. For watching edited videos on TV or DVD player, you just output videos to DVD discs. You can check the video in the upper right window. It allows you to view videos in full screen, in order to check whether the applied effects are the expected results. The camera icon is for taking snapshot of certain movie scene.